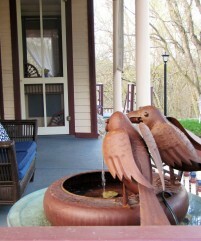 « A Romantic Eureka Springs Getaway for Valentine’s Day! Elise and Albert Quigley’s never intended for their house to become a tourist attraction – to them it was just “home” – but what an attraction it has become! Less a castle than a monument to the human will, Quigley’s Castle, located just four miles south of Eureka Springs, will fascinate and amaze you. When the Quigley’s first moved onto the eighty-acre farm in 1930, an old lumber shack became their new home. Albert told Elise to go ahead and design something else but that the shack would have to do until then. Elise’s design was unique, to say the least. She was a nature lover and wanted her house to feel more like the world around her, rather than a box on top of it. Her design included lots of big windows and four feet of bare earth between the living space and the house walls. With her design ready, Elise wanted to begin but Albert urged patience. This was a huge project and WWII made the glass for her proposed windows unavailable. Five children in, Elise decided she’d waited long enough. One day, after Albert had gone to work, she and the children pulled down the old lumber shack. Now work on her design would have to begin – and so it did. Quigley’s Castle was constructed in 1943 by the Quigleys, using lumber from their own land. Inside, Elise planted flowering, tropical plants into the bare earth between the floor and the walls. After 70 some years now, many of the plants have grown all the way up to the second story ceiling! Elise also created all the rock walls and formations you see on the property. 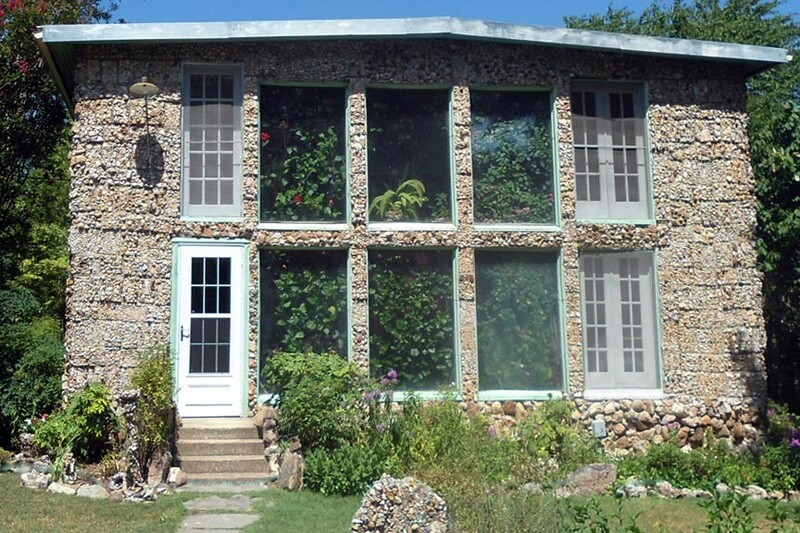 She started with the house, using pretty stones, fossils, crystals, and arrowheads that she’d collected over the years. Once the house was done she moved into the yard and gardens. Quigley’s Castle is surrounded by lush garden of wildflowers, antique roses, and a wealth of perennials. Among all the gorgeous plants Elise built towering rock pillars, numerous “bottle trees”, and more than 100 sculptures. Inside the home, more of Elise’s collections and work come to light. Every nook and cranny is filled with a collectible, a construction, and often both. One of the most stunning, and her last project, is the awesome Butterfly Wall, which you have to see to believe. Elise Quigley died in 1984 but the magnificent and unique home she created, Quigley’s Castle, lives on. Come see it! Visit the Quigley’s Castle website for more information. It’s fun to visit Quigley’s Castle – but they’re not going to let you sleep there! 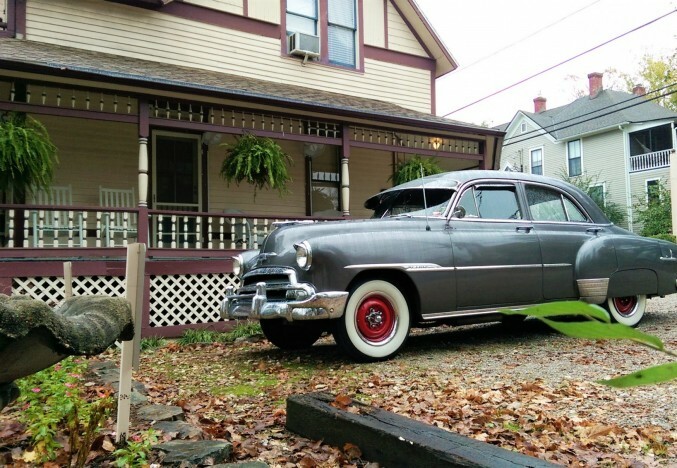 For the best in Eureka Springs accommodations, look no further than 5 Ojo Inn Bed and Breakfast! Our 9 guest rooms and suites include Jacuzzi tubs, extra soft bedding, complimentary coffee, and much more. 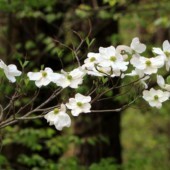 Plus the convenient location of our Eureka Springs B&B puts the best of the area at your fingertips. So what are you waiting for? Book your Northwest Arkansas getaway today!